TEMSIK, Manufacturers of Industrial Fasteners, Fastner manufacturer, hot forging, cold forging, electrical line component, nuts and bolts, mild steel hexagon bolts, mild steel sets, mild steel cup square bolts, mild steel CSK nibs, mild steel CSK, Plough bolts, High tensile hexagon bolts, High tensile sets, grade 8 nuts, foundation bolts and culvert fastening suppliers. Temsik has been serving Southern Africa and beyond since 1974, and has built a reputation for reliable, dependable service and competitive pricing. We're glad you stopped by our web page. Give us a try and we know you'll be happy, too! We house everything from washers, to bolts and nuts. If we don't carry it, WE'LL MAKE IT!. We like to think that we do our share in holding Africa together. In the 26 years Temsik Bolt and Nut has been open, the company has earned a reputation for being the place to find the "impossible." If you have ever had a tough time finding the right nut or bolt, you'll be glad you found our site. When no one else has it, we usually do -- and in stock! We carry nuts, bolts, all kinds of industrial fasteners, and some stuff that's just plain weird. Whether you're building a space shuttle or working on your '57 Ford, we have the fasteners you're looking for. 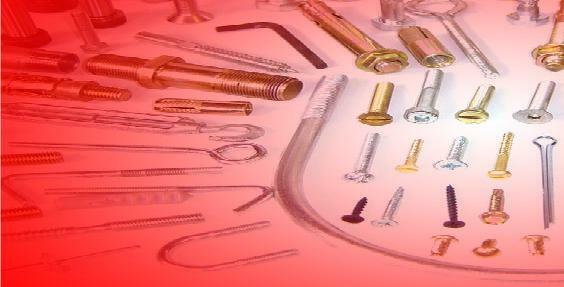 We also sell all of your everyday fasteners at the lowest prices you will find.